Donna Summer, long known as the “Queen of Disco”, passed away this morning after a long battle with lung cancer. She was 63 years. Her impact in the world of music and entertainment is immeasurable and will not be forgotten. 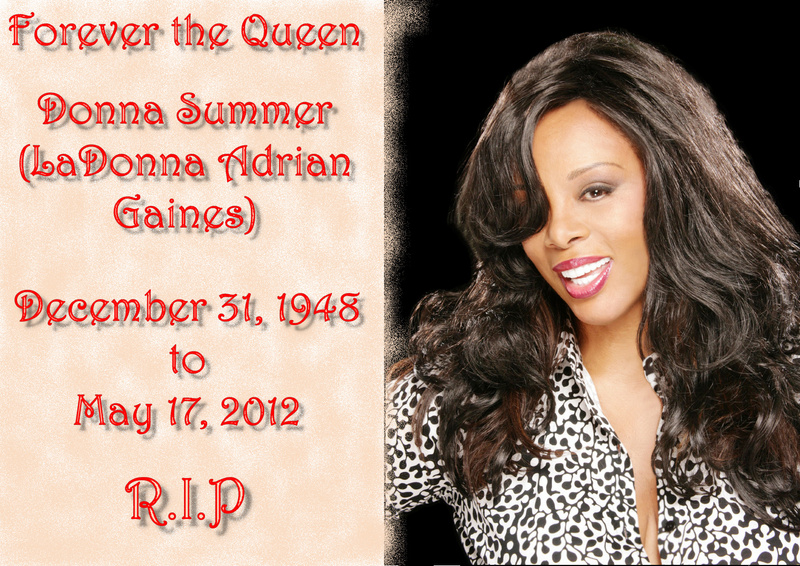 Posted in donna summer, ladonna adrian gaines, last dance, queen of disco.